Hello there Butterflies! Please welcome our very first guest blogger, Shiza who blogs over at Shiza’s Blog. 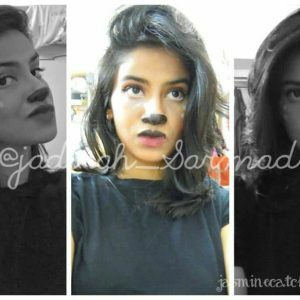 She’s a newbie in the blogosphere and it’ll be great if you all could show her some love by visiting and commenting! 🙂 Also drop some likes on her Facebook Page. If you are a makeup lover then you must have the proper makeup tools for creating different looks. 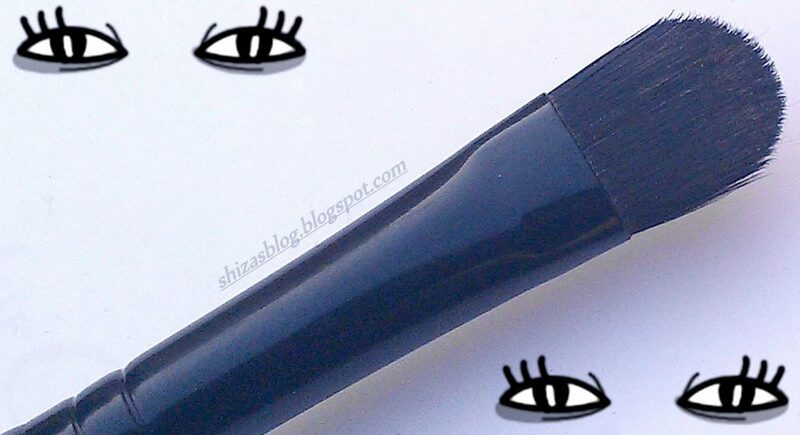 Brush plays very important role in makeup, especially in eye makeup. A good and quality brush helps you to create your desired look quickly and efficiently. MUA is a famous makeup brand with low cost and high-quality products. They have introduced their own brush range. The brushes are made up of soft and good material. Each brush has a unique code with which one can easily find the purpose of each brush e.g: E1, E for EYE. 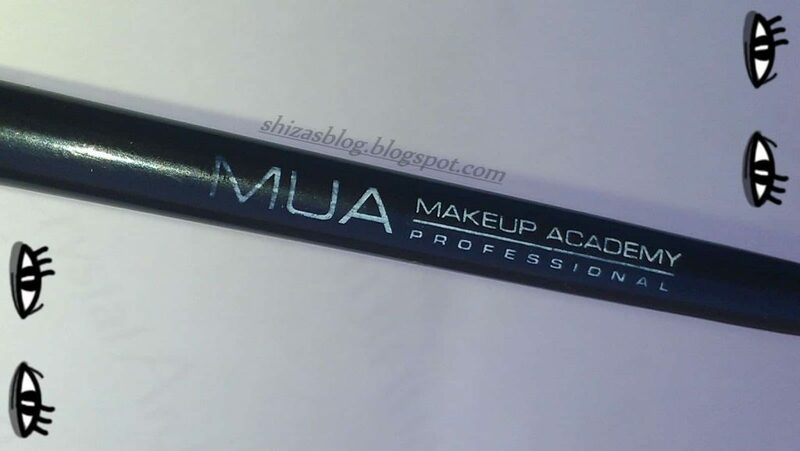 I picked up one of them and today I am reviewing MUA E1 eyeshadow brush. Let’s see what I have to say about it. The brush comes packed in plastic and you can easily put the brush back in it for storage. The packaging stuff is not easy to break and the brush could be safe in that for a long time. 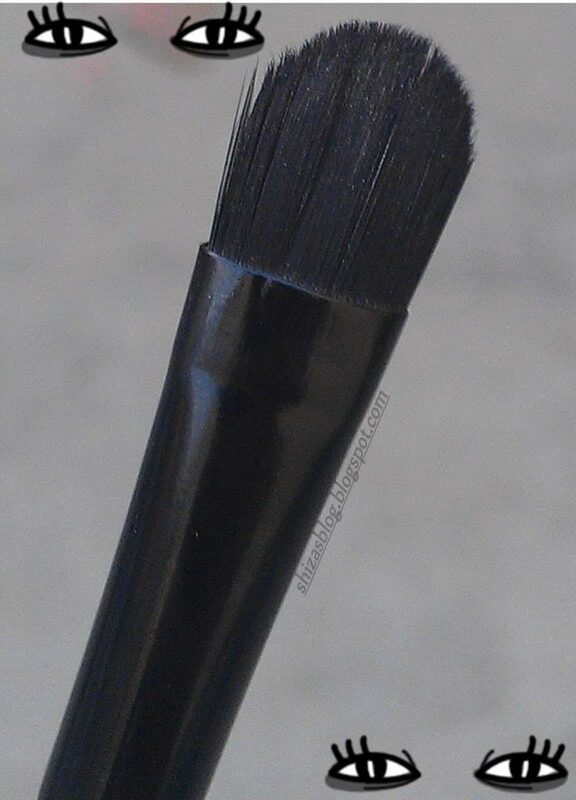 This brush is perfect for applying MUA Single eye shadows. The first step of applying eyeshadow is to apply a light colour all over your entire eye lid from lash line to brow. Cruelty-free, Synthetic brushes suitable for all skin types! The brush is soft, silky and smooth which is a plus point because a brush with rough material could irritate your eyes or create difficulty while applying the eyeshadow. The brush has a kind of rounded edge and the design is sleek. As it’s an eyeshadow brush I use it for applying eyeshadow or for some kind of glitter. The eyeshadow can be applied easily and smoothly due to its softness. I am a kind of person who loves to do makeup looks a lot and needs proper makeup brushes yet not expensive like MAC or Sigma etc, so this brush is perfect and I am happy with the quality and the look. It does the job like the professional brushes. The basic quality of this brush is that it’s synthetic, cruelty-free and suitable for all kinds of eyes or skin as MUA claims. The brush is in black color which makes it so attractive. 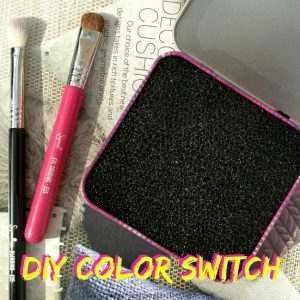 This picks up the perfect amount of product and blends the eye shadows easily. The cost makes it very affordable. 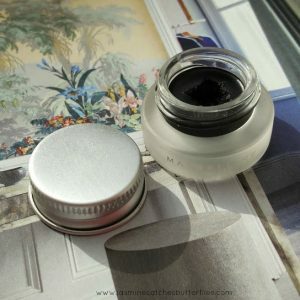 The shape is kind of C and the size is okay for applying the color on the lid. I use the brush to apply mattes as well as glitters and it works perfectly. The brush is kind of hand helper as it’s easy to work with. Finally, a good quality brush with low price, that is soft and does the job. Have you tried any MUA brushes? Let me know what you think of them. This looks like a great makeup brush!